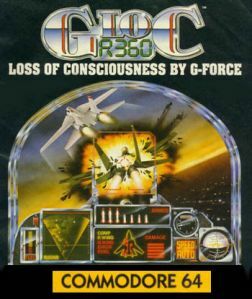 G-Loc is an acronym for "Gravity Indused Loss of Consciousness" It's actually a misnomer because the effect in caused by centrifugal force. MiGMan thanks Demetrius Kiminas at www.gamebase64.com for the scan. Gamebase 64 is engaged in a collective effort to catalogue and document all Commodore C64 software before it's too late.